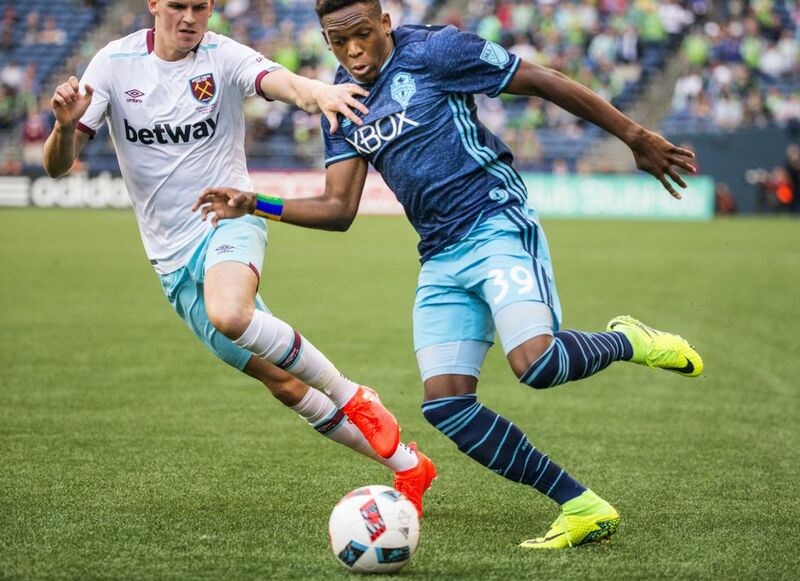 Jordan Morris scored twice and Herculez Gomez added another from the penalty spot as the Sounders topped West Ham United of the English Premier League 3-0 in an international friendly on Tuesday night at CenturyLink Field. – That was a friendly, all right. 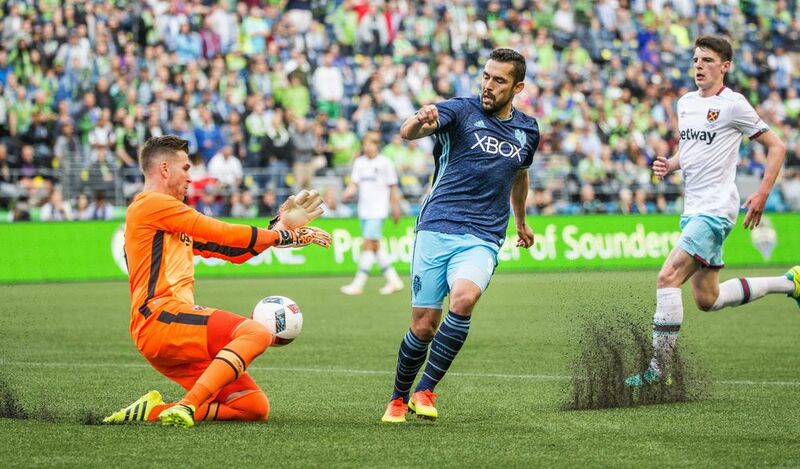 The Sounders play three vital league games over the next week-and-a-half. They host Los Angeles on Saturday and FC Dallas next Wednesday before heading to rival Portland the following Sunday. They play six league games this month plus a U.S. Open Cup match against the Galaxy on the 20th. To say Tuesday’s friendly was untimely would be putting it mildly. Seattle announced its intentions earlier in the afternoon, recalling defender Jimmy Ockford from loan and bringing up a pair of S2 players just to fill out the bench. Forward Clint Dempsey is still recovering from his U.S. national-team stint, and defenders Brad Evans and Chad Marshall were both scratched due to minor injuries. Whereas Seattle is in the midst of the most challenging chunk of its season, West Ham is just beginning preparation for a league campaign that doesn’t kick for at least another month. The Hammers were without star playmaker Dimitri Payet – currently preparing for a Euro semifinal with his native France – and wrecking ball midfielder Cheikhou Kouyate – still on break after going on postseason international duty with Senegal. They substituted out 10 players at halftime. To say Tuesday night’s match was just 22 men jogging around on artificial turf trying not to get injured would be unduly harsh but not entirely off base. 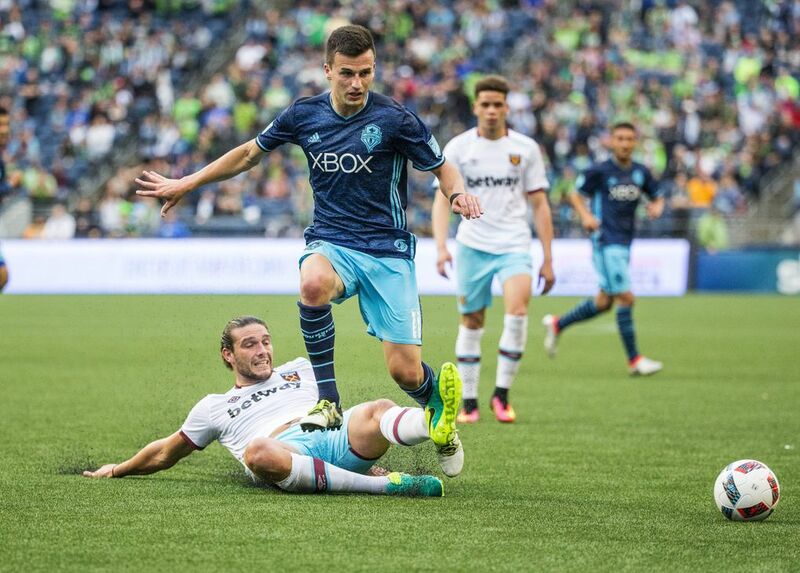 – The Sounders accomplished their basic mission. Both teams created plenty of chances and fired off double-digit shots. Defenders were wary of going in too hard with tackles, All-Star-Game-style, and attackers found plenty of room in which to maneuver. Gomez both won and scored his penalty kick, sprinting onto Aaron Kovar’s clever through ball and getting taken out by West Ham ‘keeper Adrian. 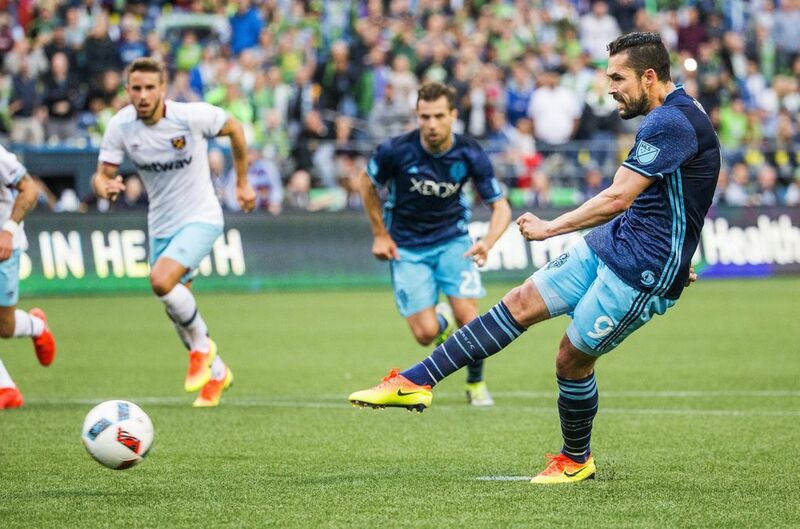 His 42nd-minute penalty was dispatched with ease and notable as Gomez’s first Sounders goal. Morris built on his impressive performance in Toronto with a standout cameo off the bench. 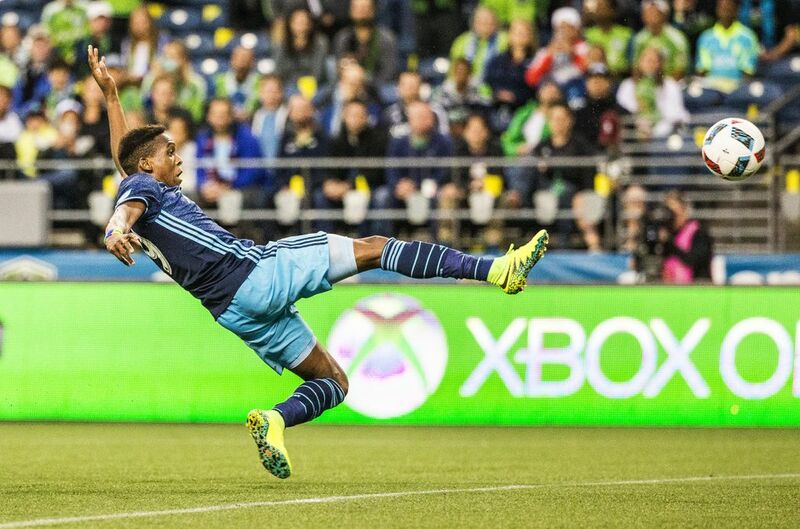 His 69th-minute goal was a tap-in, a right-place-at-the-right-time finish of Oalex Anderson’s rebound. He struck again just minutes later, breaking behind the West Ham back line with ease and placing a shot inside the right post. If an overarching goal of the night – on top of global branding and boosting season-ticket sales – was to continue building positive momentum, that mission was accomplished. 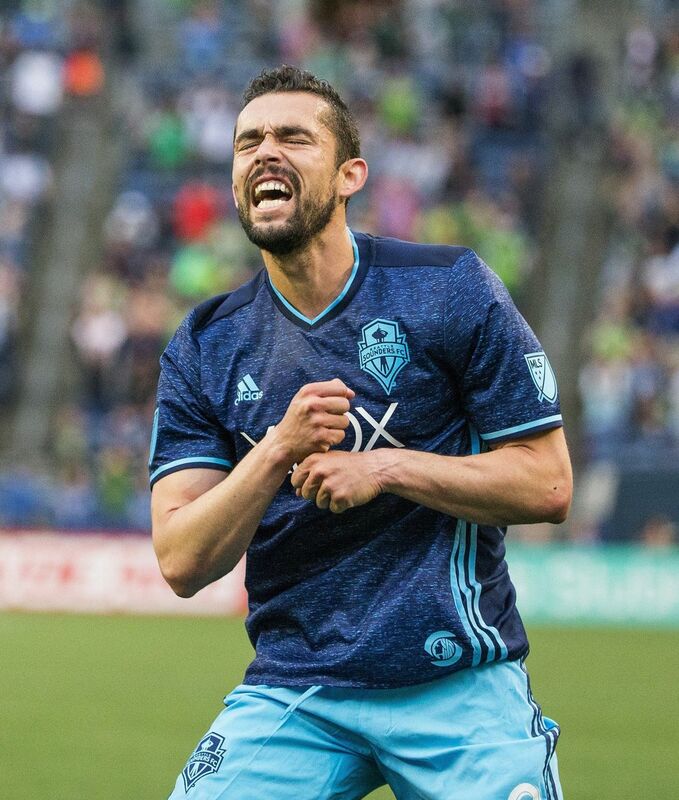 Seattle heads into this weekend’s vital Galaxy clash on the back of three results of varying legitimacy: A U.S. Open Cup shootout victory over Real Salt Lake, the come-from-behind draw at Toronto FC last Saturday and now this. 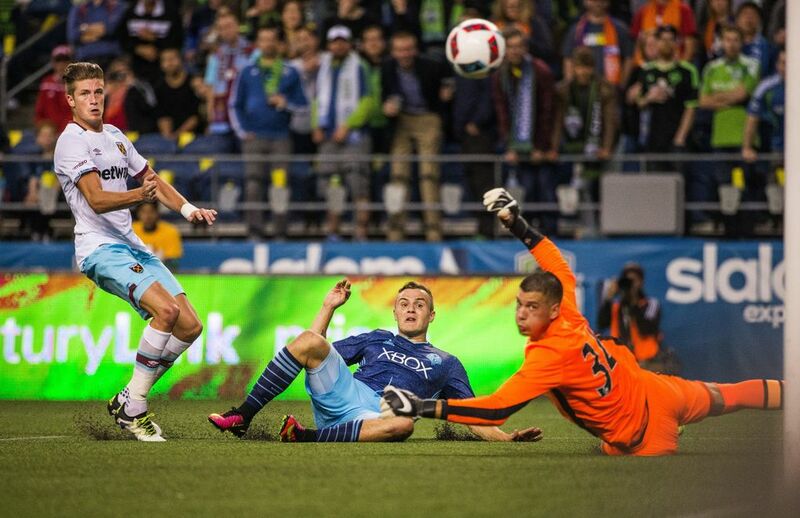 – CenturyLink Field was uncommonly subdued. The announced attendance on Tuesday night was 38,585, a number boosted by the game’s inclusion in Sounders season-ticket packages. There were chunks of empty blue seats in all corners of the stadium. The usual pageantry provided by the Sounders fan groups in the south end of CenturyLink was absent, in its place an awkward void. 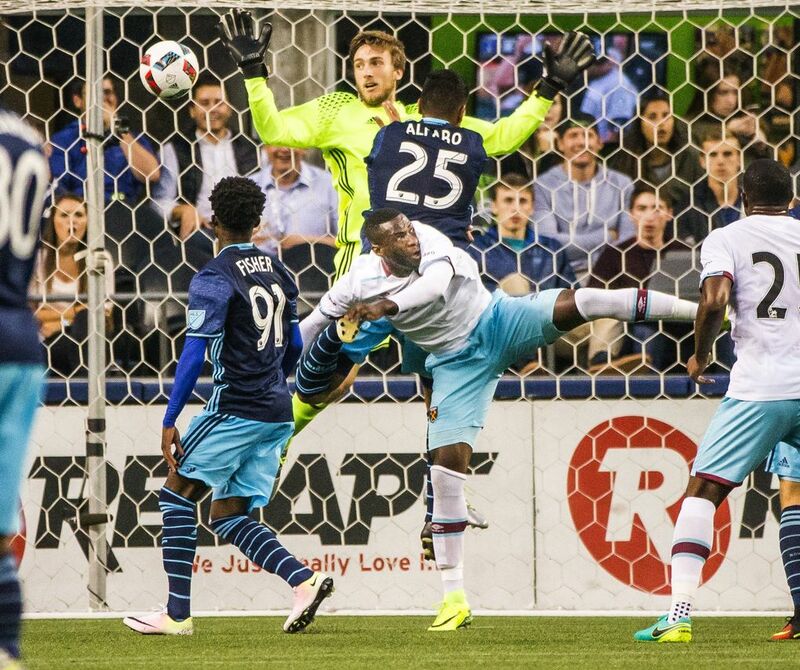 Midseason exhibitions are a contentious issue throughout MLS, stances varying by club. Portland owner Merritt Paulson, for example, took to Twitter earlier this week to say the Timbers will not play friendlies in the middle of the season. On the other end of the spectrum, the Galaxy, Earthquakes and Red Bulls all participated in last year’s International Champions Cup, a hodgepodge of a round-robin tournament bringing the world’s biggest clubs to the U.S. There is novelty to these types of games, and especially to the West Ham faithful filling up two sections of the upper deck, value. Whether they should take place in the midst of the league season is a debate that isn’t going anywhere.